We work for many clients from all over the world providing footage and production for TV Segments, Corporate Videos, Government Communications and Historical Documentaries. Source Media travel throughout Australia from Darwin to Thargomindah, Wagga Wagga to Cairns, Melbourne to Brisbane working on many different projects. We enjoy working to create productions that are within budget, look good, represent the clients objective and meeting the aim that is required for the production. 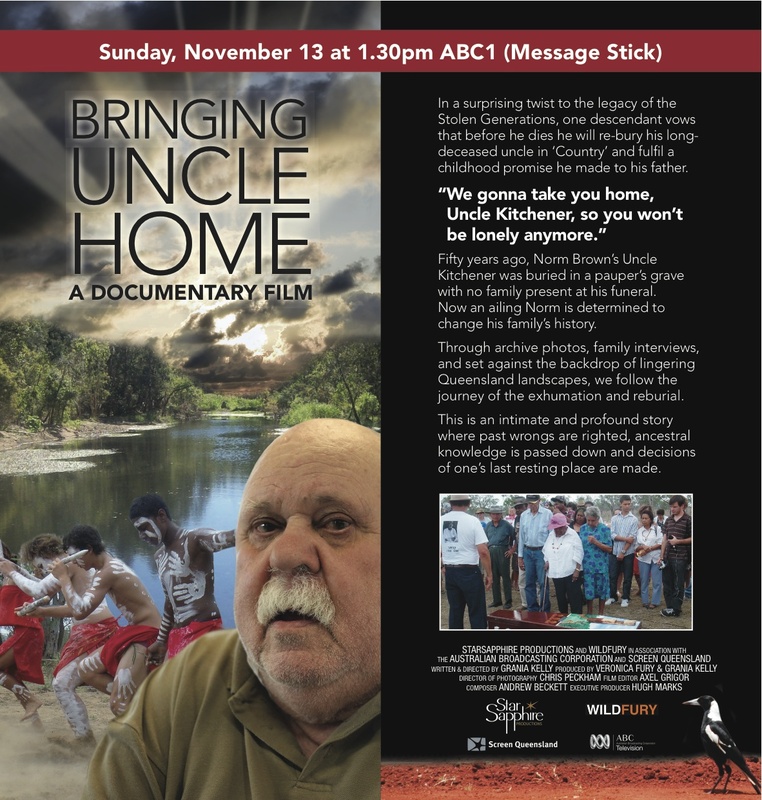 'Bringing Uncle Home', Screened on the ABC. Filmed and Edited by Source Media.